After sitting through Apple’s “Spring Forward” media presentation from start to finish, I couldn’t help but notice a slide tim Cook briefly put up, depicting an iOS version of the Apple Watch’s Activity app. I immediately took to Twitter, wondering when users could expect to see the software on their iPhones. Last evening, developer Hamza Sood tweeted out a series of screenshots of the Activity app from iOS 8.2, released for public consumption on Monday. The app is hidden and would only appear on a user’s Home screen once an Apple Watch has been connected and paired with an iPhone using the Apple Watch iOS app (which by the way cannot be deleted from the device). 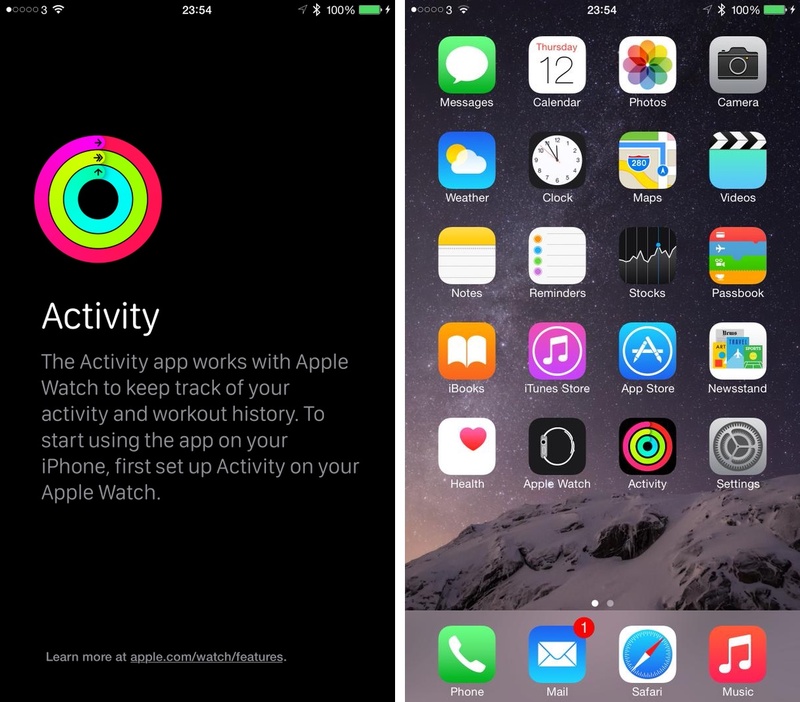 As the screenshots attest, the Activity app looks quite nice on an iPhone once it’s configured from the Apple Watch. If you ask me, the black user interface is quite interesting and compelling. 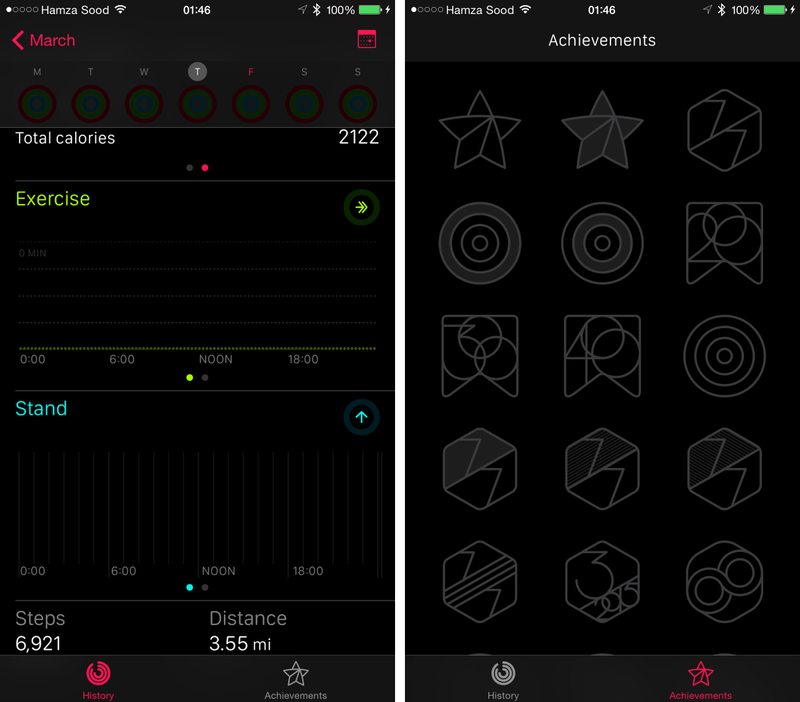 More important than the looks, the app provides an at-a-glance overview of a user’s activity as collected by the Watch. There are two tabs alongside the bottom: History and Achievements. History charts your progress and trends that would be impractical to render on the Watch’s tiny screen. Here you’ll find the familiar activity rings depicting how much walking, standing and exercise you have done. From there, it’s easy to jump to data for any specific day or access your daily, weekly and monthly activity overview. The Achievement tab lists your fitness achievements by the day, week or month. 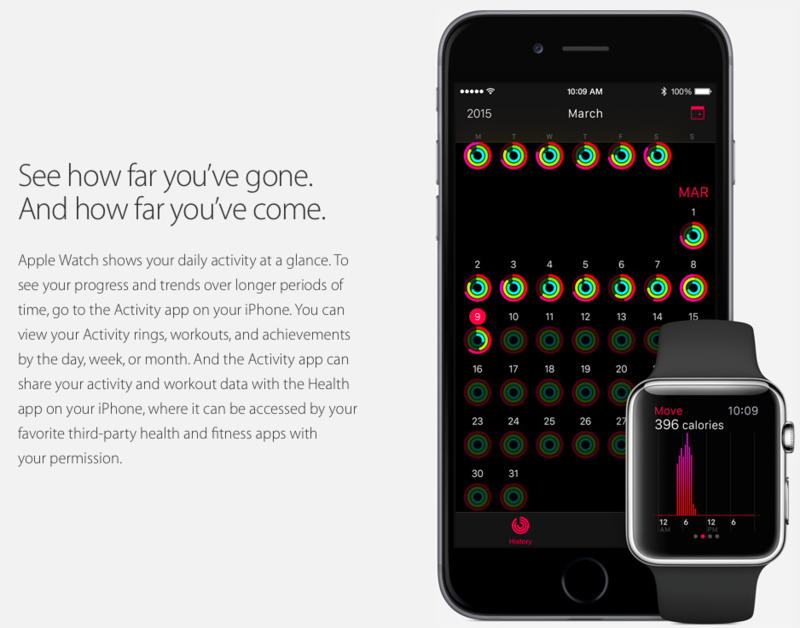 As you might have suspected by now, Activity for iPhone shares your activity and workouts with the iOS Health app. 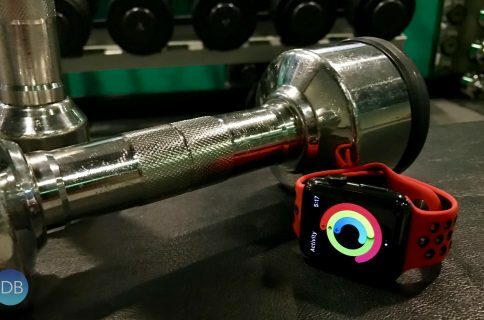 As a result, any data the Watch gathers can be made optionally available to your favorite health and fitness applications designed with HealthKit in mind. There’ll be plenty of achievements to unlock once the Watch arrives in April. Although Activity for iPhone is useless without a Watch, I’d wager Apple might at some point make it work standalone, without the wrist-worn gizmo. Theoretically speaking, Activity could tap into the iPhone’s motion co-processor and sensors like the gyroscope, GPS and accelerometer, to gather activity data. 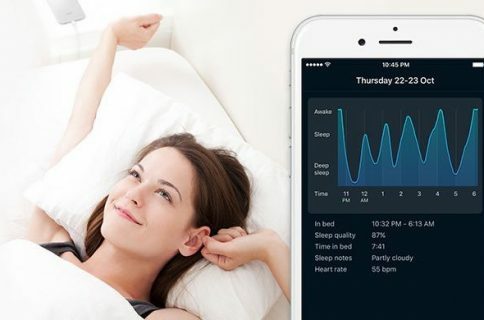 Granted, any data collected on an iPhone would not be quite as detailed as that gathered by the Watch, which also measures a user’s heart rates continuously. “Fitness isn’t just about running, biking, or hitting the gym. It’s also about being active throughout the day,” according to the Activity description on the Apple Watch section of Apple’s website. In fact, this is the only depiction of Activity for iPhone on Apple’s website. 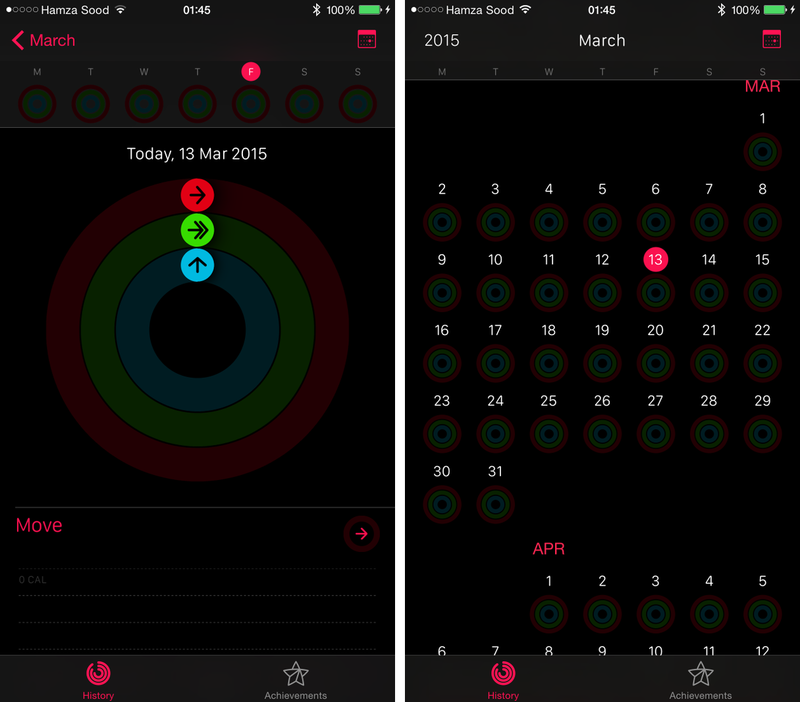 “Apple Watch shows your daily activity at a glance. 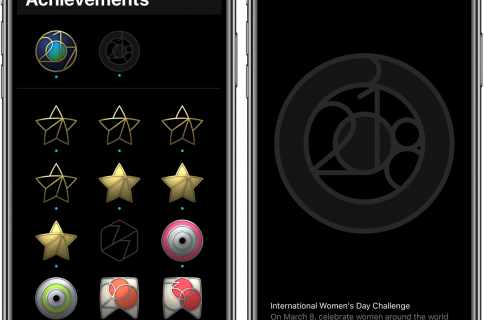 To see your progress and trends over longer periods of time, go to the Activity app on your iPhone,” reads the page. According to The New York Times, the Apple Watch project carried code-name “Gizmo.” Citing employees privy to the project, the newspaper said that members of the Watch development team used the “Gizmo” code-name in internal communications. “In an effort to maintain secrecy, engineers testing the watch outside the office even created fake casing that made the Apple device resemble a Samsung watch,” noted NYT. By the way, how long do you think until someone finds a way to unlock the achievements without actually doing exercise?